The Least spending time for building in the world is 265 days. 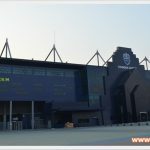 I-mobile Stadium or Thunder Castle Stadium, which is established as a home field for Buriram United. 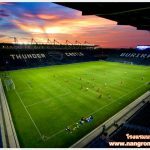 The stadium is the first football-purpose stadium of Thailand that reaches FIFA,AFC and AFF standards. Meet the A Class Stadium standard from AFC and World Class Standard from FIFA. Moreover, it has noted on the Guinness World Record as leastspending time for building in the worldis 265 days. 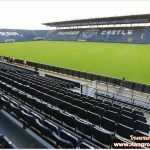 I-mobile Stadium or Thunder Castle Stadium is the largest club-owned football stadium which as a capacity of about 32,600 seats. There are four floors. The First Floor, there area news room, press room, souvenir shops, Home Team/ Visiting Team, Referee Room, First-Aid Room and Conference Room. The second Floor, there is big ballroom with 400 seats. The Third Floor, there are 6 V.I.P. Rooms, and a ballroom. And the Fourth floor, there are 15 V.I.P. Rooms. 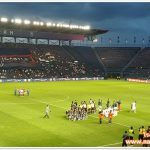 This stadium has the 1,500 lux of light and the main grandstand is also most interesting one with a dark blue façade but the white on the word “Thunder Castle” and “ Buriram”.